Extend the wireless freedom of DECT and 900 MHz headsets to your UC system and manage softphone calls with any CS500 Series or CS500 XD Series headset. The APU-75 provides PC connectivity with one-touch call control across a wide array of softphones*. 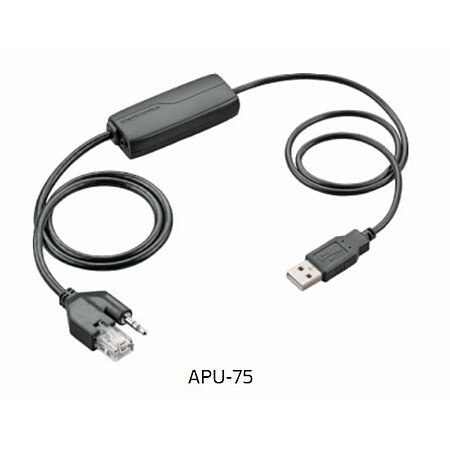 The APU-75 provides plug and play compatibility with Microsoft Skype for Business. This cable also works with Mitel 6867 and Mitel 6869 desk phones. *Download Plantronics Hub to get one-touch call answer/end with most softphones.